The Manor Gates fence is height adjustable, making it ideal for a number of users. The picture here shows the complete jump inc. Pillars, Gate / Wall, cups and pole. 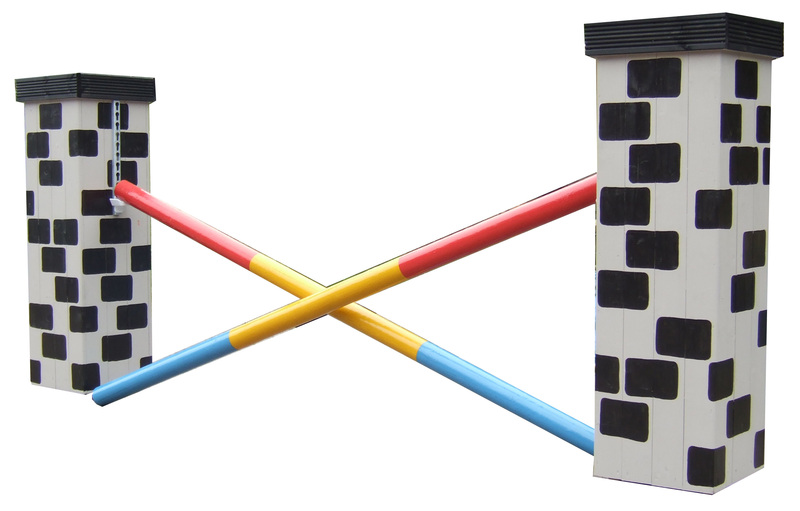 The pillars are 45cm square and 150cm high for the 60cm & 70cm gates and 165cm for all other height options. 4 Anchors will secure both the Central Manor gates and the PIllars. Approach : Is an upright white solid gate with shaped ends, hinges and latch for authenticity. Reverse : Shown below is sloping stone effect wall. The Pillars are fitted with keyhole tracking to take Safety cups and a black knock down pole. The height selected in the drop down above, is the fixed height of the central gates / wall section with the pole being used to increase this. Therefore the smaller height you select the greater height adjustability you will have. Please note: when using the pole the fence must only be jumped from the approach side for safety reasons. Versatility : This jump can be used in 4 different ways. 1. Complete as shown in the main picture, with a knock down pole. 2. 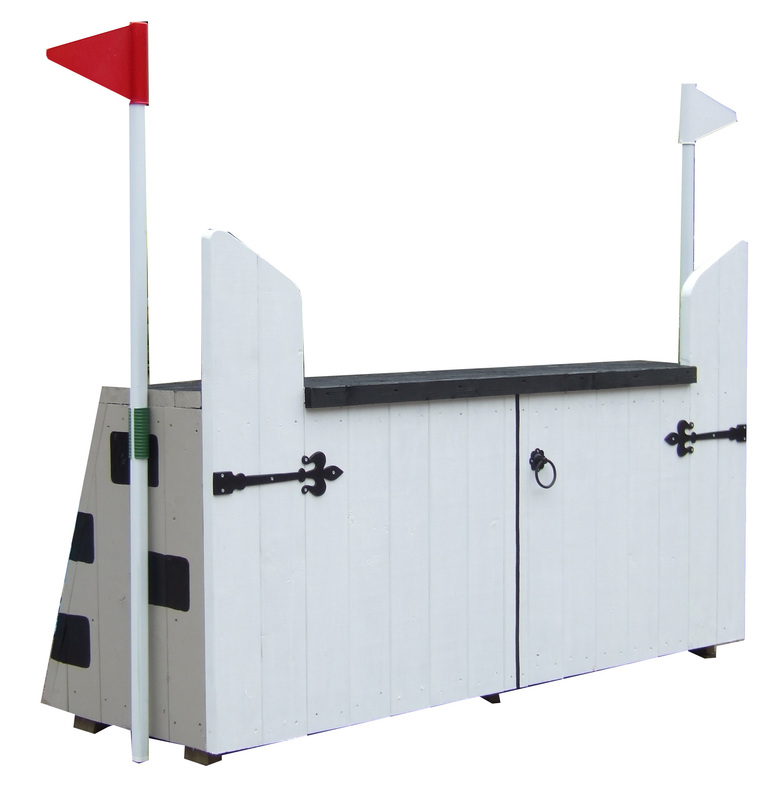 Complete but without the knock down pole, as a traditional solid XC fence - you can jump from either direction when using this way. 2 designs in 1. Height adjustable.